Every food processing plant now uses buckets or small containers in many aspects of its day-to-day operations. But are they safe enough to use in food and beverage production, or to dose chemicals? Here at Vikan, we aim to be in regular, day-to-day contact with the end-users of our products. It’s quite simply the best way to keep close track of their specific needs and requirements. I cannot remember a single food plant I’ve visited that didn’t make use of buckets or small containers – they all do, regardless of the specifics of their output. Most people visiting or auditing a food processing unit may not even notice these humble buckets, but I happen to be a maniac about cleaning tools and procedures in this particular sector of industry, so my perspective is a bit different. So let’s take a few seconds and consider the many different methods of preparation, production, storage and cleaning used within the food and beverage sector. Needs vary enormously, but unfortunately the many buckets used in food and beverage production all too often get overlooked and ignored. For example, most factories in France still just use basic white buckets that come from non-specialised suppliers or companies that happen to deliver the food ingredients the plant uses. Sometimes people don’t even know where the buckets actually come from. Such simple, basic buckets have usually been diverted and re-purposed from their original function, and were never designed to be used long-term. If you put all these functions together, you can easily imagine the risk of misuse or contamination that these humble buckets might cause in any factory. I recently encountered a dairy plant and a biscuit manufacturer where disposable white buckets were used in large numbers, with no clear distinction between functions. Some were also damaged, with plastic near the edges about to simply fall apart. This risk-laden situation does a lot to explain the success of the coloured Vikan buckets now available in 3 sizes (6, 12 and 20 litres). A big part of our job here at Vikan consists of making our end-customers aware of risks and offering solutions. The hygiene and production managers we meet are usually intensely busy and sometimes really struggle to deal with foreign bodies and contamination issues, and the effects of these. Buckets/containers represent an underestimated source of trouble if no one takes the time to bother about this particular aspect of operations – and hygiene management. But actually you needn’t have any grounds for concern, Vikan hygienic buckets can provide you with effective, colour-coded peace of mind. Vikan buckets are available in 9 colours to clearly differentiate their use and thus avoid storing foodstuffs and chemicals in a bucket of the same colour (as just one example). Vikan hygienic buckets are designed to limit dirt/food accumulation and to speed up the cleaning phase. They’re also equipped with a robust stainless steel handle and stack together easily, to save space. This limits the number of buckets on site and drastically reduces the overall waste load. These buckets are so durable that they have now proved to be remarkably successful in unexpected places – such as the pharmaceutical industry, because they can be autoclaved at 121°C. In fact, you’d probably be amazed to see where Vikan buckets are now used, and what they are used for. New ideas about this come mostly from our end-users. 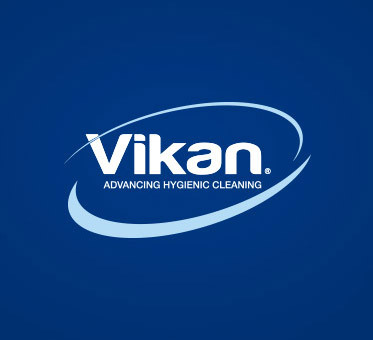 So feel free to invent a way to welcome Vikan hygienic buckets onto your list of durable, reliable cleaning tools. And please share your experience with us – we’d love to hear what you get up to with our buckets!